When you travel it’s often a good idea to establish a budget for your trip. 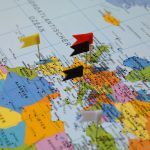 This means that you’ll be able to plan exactly how much money you should save for your travels and this should result in a much better and successful experience. 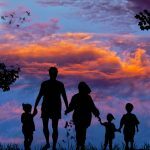 Below are some of the best tips and techniques for creating your travel budget. One of the first things you need to do when establishing your budget is to research your destination. Look at how much average costs are, such as for food, transport, activities, excursions and pretty much anything that would cost you money. 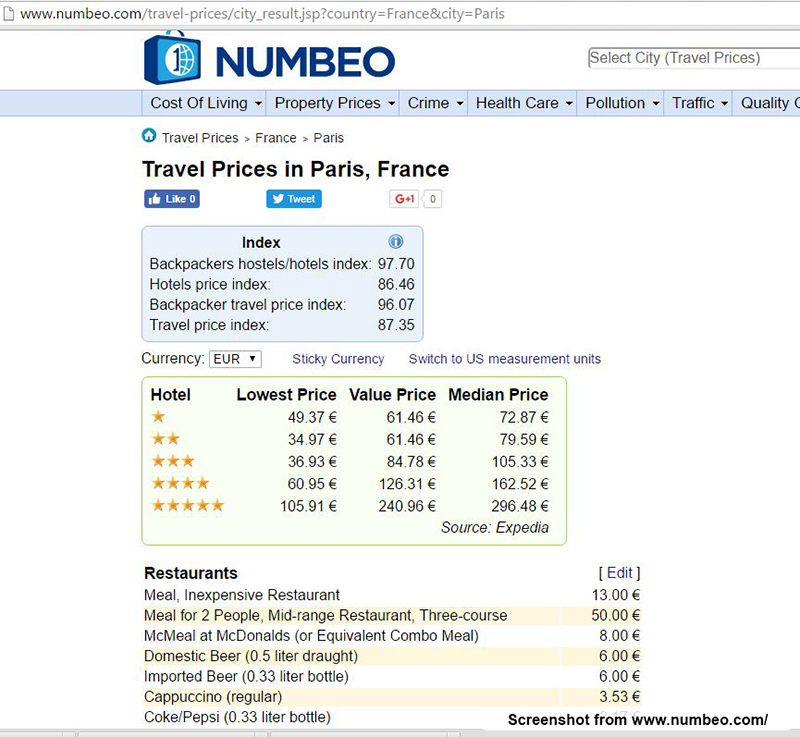 You can do some basic research using sites such as Numbeo.com, which even lets you compare the cost of basic items to other cities. Hotels can vary in price depending on the type of accommodation you decide on, and also the rating ie a budget hostel is going to cost significantly less than a 5-star luxury hotel. Nowadays most established destinations have a huge range of accommodation types from hostels, apartments, guesthouses and hotels, which makes it so much easier to travel on a budget. Often you’ll also find the more central you are at a destination then the more it’ll cost. Ie accommodation in London Zone 1 will cost a lot more than Zone 4. 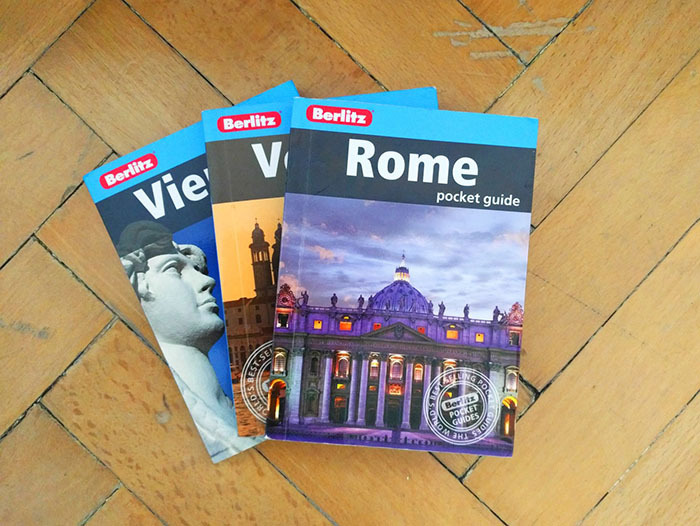 Deciding what to do is probably one of the most exciting parts of travel planning. You should look on travel blogs (such as this), use great sites such as tripadvisor.com, read travel books and guides, and ask friends who have been to the destination before. Once you have an idea on what you want to do, then make a list with the price of each activity and how much ticket prices are. Excel or Google Sheets is great for this (see further down). Is it a public holiday or are there special events on? If you are travelling during the holiday season, such as around Christmas, national holidays, or summer holidays you may find prices can be significantly higher than at other times of the year. Prices are also a lot more expensive around weekends, so if possible always try to plan and book your travels early to catch the best prices. 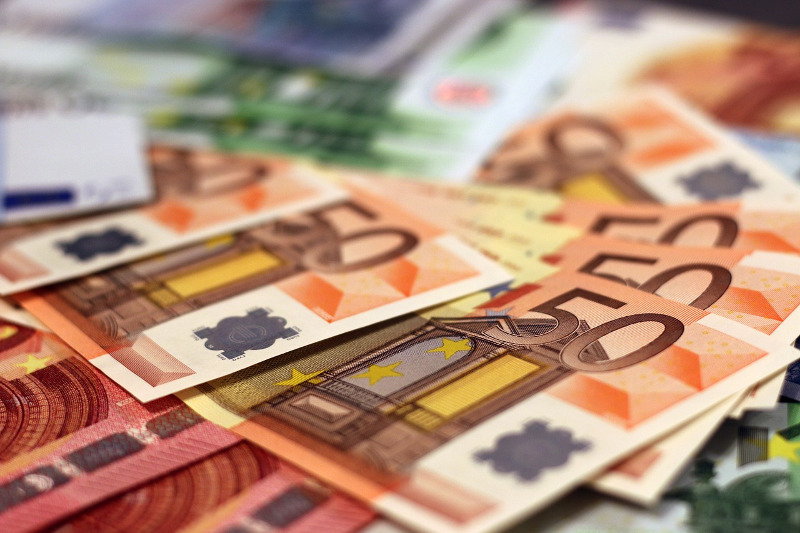 It’s always a good idea to have spare money ready in case of emergencies, and also in the event that you discover some amazing activities that you want to do once you arrive. I would recommend trying to have an extra 20% more than you think and hope to spend, and then if you end up not spending this then bonus. It’s also worth taking an emergency credit card in case you really get in a pickle. Hopefully, you’d never have to use this though. Once you have established how much different elements of your trip will cost then create a final spreadsheet. This doesn’t have to be complicated but should be clear and clean. You can see a screenshot below of my estimated budget for a trip to Vienna. Saving for a trip and establishing a budget might be a boring task that many of us don’t want to do. However, it can be totally worth the pre-planning, as you might be able to go on your holiday and see and do so much more. Do you have any budgeting tips and ideas? Leave a comment below. Hey Buddy!, I found this information for you: "How to Establish a Budget for Your Trip". Here is the website link: https://www.travelanddestinations.com/how-to-establish-a-budget-for-your-trip/. Thank you.